If you have traveled down the street from the Culture Street of Sol Hill, move towards Seogwipo Port. You must stop by Cheonjiyeon Falls! At the end of the walking street that is filed with Ekaeicarpus sylvestris var. ellipticus Hara, you can see the grand sight of waterfall falling down from 22m. Soon after, the Jaguri Coast is appeared in front of your eyes. On the shores of Jaguri Coast, you can see Seopseom and Munseom. This place is the street which is overlapped with utopia road called ‘Artist’s Walk’ and you can see various art works. The first thing you can see is ‘Draw a crab and children’ by Mi Jin Jeong. 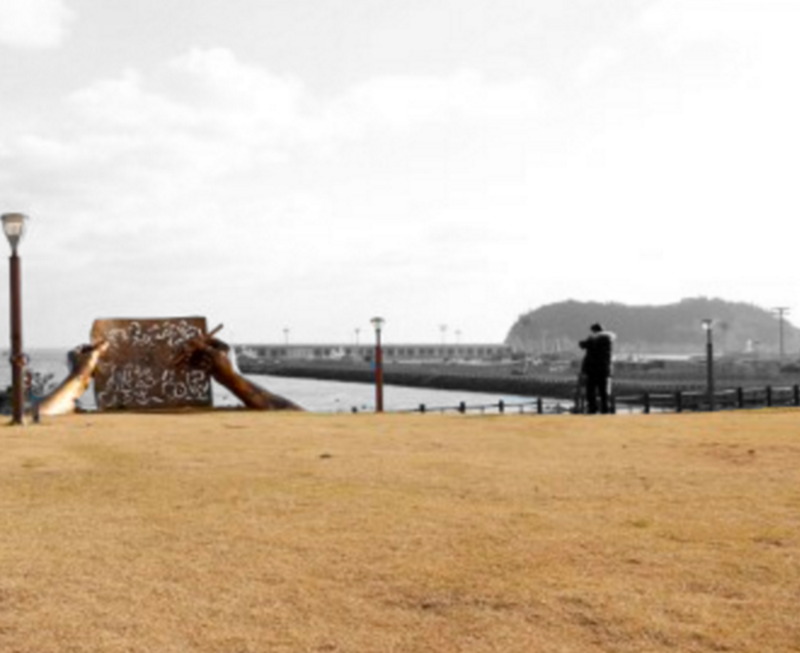 She put on a sketch of Lee Jung Seop, a painter who visited the site on a daily basis. 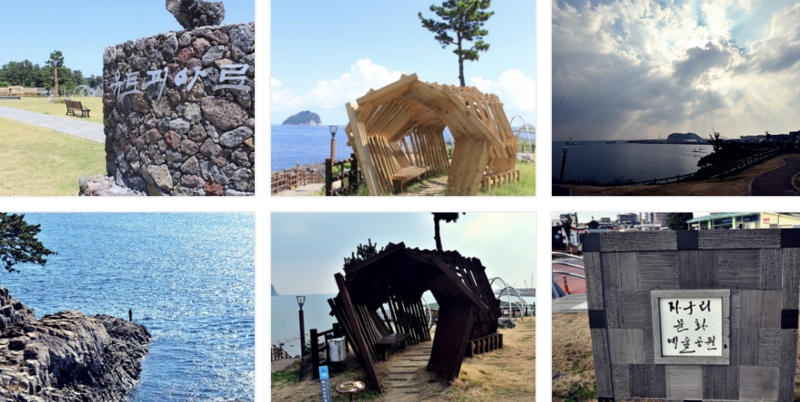 If you take a closer look at the outdoor art museum, you will arrive at the entrance of Seogwipo Port. Take a look around this one at a time. From the shores of the Jaguri Coast to the far right of the Jeongbang Falls, rugged precipice with rocks of fantastic shape stands out beautifully.